Mimir features musicians from North America’s most accomplished orchestras, Grammy Award-nominated recording artists and faculty members from the best music conservatories in the United States and Australia. Australian pianist, producer and presenter, Caroline Almonte, has a reputation as a versatile and sensitive artist. She studied with Stephen McIntyre at the VCA and Oxana Yablonskaya at the Juilliard School, New York. She has won numerous awards, including the ABC Young Performer’s Awards and the international chamber music competition in Italy “Trio di Trieste”. Caroline gives regular solo and chamber music recitals around Australia and overseas, performances with the Melbourne, Sydney, Adelaide and Tasmanian Symphony Orchestras, Shanghai Symphony at the Shanghai International Piano Festival, at the Edinburgh International Festival, Bologna Festival, Melbourne and Adelaide International Cello Festivals, the Dunkeld Weekend of Music, the Huntington Estate Music Festival, the Perth International Festival and the Australian Festival of Chamber Music in Townsville, which included a live broadcast on ABC Classic FM of Bach Goldberg Variations. Her many musical collaborations include working with members of the Australia Ensemble, the Australian String Quartet, Flinders Quartet, Yvonne Kenny, Li Wei, Mimi Tsunoda (Duo Sol), Pieter Wispelway, (their duo recital at the MRC was nominated for a 2018 Helpmann Award), Daniel Hope and Sarah Chang. She is also a member of the Sutherland Trio with Elizabeth Sellars and Molly Kadarauch. Alongside her stage performances, Caroline has a prolific teaching career and is passionate about working with young people. 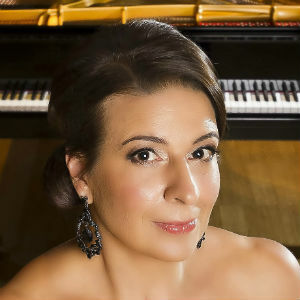 She teaches piano and chamber music at the University of Melbourne and has been involved in several projects with the AYO, MYO and AMEB where she recorded and produced the recent solo piano series. Violist Joan DerHovsepian holds the position of Associate Principal Viola of the Houston Symphony Orchestra. She joined the viola section of the Houston Symphony in 1999, hired by Christoph Eschenbach, and began her current position with the HS in the fall of 2010. She is an Artist Teacher of Viola at Rice University’s Shepherd School of Music, instructing students in viola orchestral repertoire and chamber music. She has given master classes in the study of orchestral excerpts at the New England Conservatory and Baylor University, and has been a viola instructor for the New World Symphony. Ms DerHovsepian spends her summers in Wyoming performing with the Grand Teton Music Festival, in Wisconsin as Principal Viola of the Peninsula Music Festival, and in Fort Worth at the Mimir Chamber Music Festival. Her solo appearances with orchestras include performances of the viola concertos of Walton, Penderecki, Telemann, Mozart's Sinfonia Concertante, and Harold in Italy by Berlioz. Joan was the violist of the award winning Everest Quartet, top prize winners at the Banff International String Quartet Competition, and the Fischoff Chamber Music Competition. In addition to their residence with the Midland-Odessa Symphony, the quartet presented concerts throughout North America and gave the world premiere of a work by composer Paul Schoenfeld. Ms DerHovsepian was Principal Viola of the Charleston Symphony Orchestra from 1997-1999 and played in the Rochester Philharmonic Orchestra from 1992-94. She has appeared as guest principal viola with the Cincinnati Symphony. 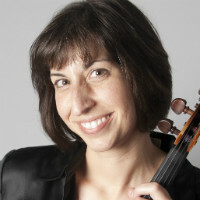 Ms. DerHovsepian was the second prize recipient of the 1995 Primrose International Viola Competition. Joan holds Bachelor and Master of Music degrees and the Performer's Certificate from the Eastman School of Music, studying with James Dunham of the Cleveland Quartet. She attended the Hochschule fur Musik in Freiburg, Germany, where she studied with Grammy-award winning violist Kim Kashkashian. Prior to joining the Nashville Symphony, Iwasaki served as concertmaster of the Oregon Symphony from 2007-2011, and he performed with that ensemble at the first annual Spring for Music Festival at Carnegie Hall in 2011. Throughout his career, he has appeared with numerous other orchestras, including the Tokyo Symphony Orchestra, Columbia Symphony Orchestra, Blossom Festival Orchestra, Rome (Georgia) Philharmonic, New Bedford Symphony, Canton Symphony, Richardson Symphony, Cleveland Pops Orchestra, Plano Symphony Orchestra and the Cleveland Institute of Music Orchestra. In addition, he has served as concertmaster of Asian Artists and Concerts Orchestra (AAC), guest concertmaster of the Santa Barbara Symphony in 2010, and guest concertmaster of the National Arts Center Orchestra in Ottawa in 2006. He served in the same position with the Canton (Ohio) Symphony Orchestra from 2005-07. 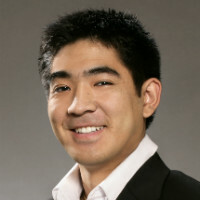 In addition to teaching at Vanderbilt University's Blair School of Music, Iwasaki is the artistic director of Portland Summer Ensembles in Portland, Oregon, a workshop for young musicians focusing on chamber music. Since making her professional debut in 2008 with Opera Australia, Victoria Lambourn has performed extensively throughout Australia, Europe and Asia. She is a regular soloist with Opera Australia and the state opera companies, and, after winning the German-Australian Opera Grant, was a principle with the Hessisches Staatstheater Wiesbaden (Germany). Victoria studied singing, piano, cello, and composition at the Queensland Conservatorium Music School before continuing her studies at the Royal Northern College of Music (UK). Her performance as Angelina in La Cenerentola for the RNCM led to an invitation to participate in the Accademia Rossiniana in Pesaro (Italy). Awards include the Australian Music Foundation Awards, Peter Moores Foundation Scholarships, W. Holmes & Saville Prize for Lieder, and the People's Choice Prize in the Dame Joan Sutherland Singing Competition. Operatic highlights include Rosina (Il Barbiere di Siviglia), Carmen, Hänsel (Hänsel und Gretel), Nicklausse/Muse (Les Contes d’Hoffmann), Dorabella (Così fan tutte), Miss Jessel (The Turn of the Screw), Suzuki (Madama Butterfly), Rosmira (Partenope), Nancy (Albert Herring), and Emmy (Der Vampyr). On the concert platform, Victoria has performed with all of the Australian symphony orchestras. Highlights include Ravel’s Shéhérazade for the Australian Ballet, the alto solo in Messiah with the Queensland Symphony Orchestra, the governess in Pique Dame with the Sydney Symphony Orchestra conducted by Vladimir Ashkenazy, Brahms’ Alto Rhapsody , and Wolf’s Italienisches Liederbuch . She has performed concerts in the UK, Italy, France, Japan, Indonesia and New Zealand, and has given several concert tours of China, including a televised concert in the Great Hall of the People in Beijing. Victoria’s EP album Lakmé was released on the ABC Classics label and she appears on several other CDs by ABC Classics and a CD of Percy Grainger works with the Melbourne Symphony Orchestra (Chandos Records). 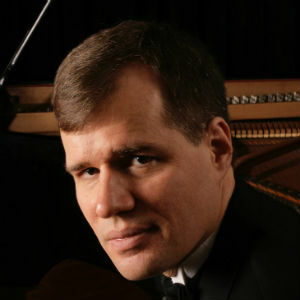 Pianist John Novacek regularly tours the Americas, Europe and Asia as solo recitalist, chamber musician and concerto soloist and has presented over thirty concerti with dozens of orchestras. 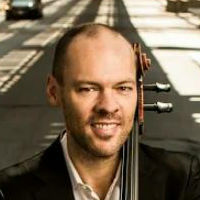 Novacek has performed in Carnegie Hall, Lincoln Center for the Performing Arts’ Avery Fisher Hall and Alice Tully Hall, 92nd Street Y, Columbia University’s Miller Theater, Merkin Concert Hall, The Metropolitan Museum of Art and Symphony Space, The Kennedy Center for the Performing Arts, Symphony Hall (Boston and Chicago), and Dorothy Chandler Pavilion (Los Angeles), and the Hollywood Bowl. International venues include Paris’ Theatre des Champs-Elysées, Salle Gaveau and Musée du Louvre, London’s Wigmore Hall and Barbican Centre, as well as most of the major concert halls of Japan. He is also a frequent guest artist at multiple festivals including the Mostly Mozart Festival, Aspen, Cape Cod, Caramoor, Chatauqua, Colorado, Colorado College Mimir, Ravina, Seattle, SummerFest La Jolla, Wolf Trap, BBC Proms (England), Braunschweig (Germany), Lucerne, Menuhin, and Verbier (Switzerland), Majorca (Spain), Sorrento (Italy), Stravenger (Norway), Toulouse (France), and Sapporo (Japan). Often heard on radio broadcasts, Novacek has appeared on NPR’s Performance Today, St. Paul Sunday and, A Prairie Home Companion with Garrison Keillor. He was also been on The Tonight Show with Johnny Carson, Entertainment Tonight, and CNN International. John Novacek is a sought-after collaborative artist and has performed with Joshua Bell, Matt Haimovitz, Leila Josefowicz, Cho-Liang Lin, Yo-Yo Ma, Truls Mork, Elmar Oliveira, and Emmanuel Pahud, as well as the Colorado, Harrington, Jupiter, New Hollywood, St. Lawrence, SuperNova, and Ying string quartets. He also tours widely as a member of the piano trio, Intersection. Novacek’s own compositions and arrangements have been performed by the Pacific Symphony, The 5 Browns, Concertante, Manasse/Nakamatsu Duo, Harrington String Quartet, Harrington String Quartet, Ying Quartet, Millennium, Quattro Mani, and The Three Tenors. He has recorded over 30 CDs as both a soloist and chamber musician. Mr. Novacek records for Philips, Nonesuch, Arabesque, Warner Classics, Sony/BMG, Koch International, Universal Classics, Ambassador, Pony Canyon, Four Winds, Arkay, Virtuoso and EMI Classics. Stephen Rose is Principal Second Violin of Cleveland Orchestra, a position he has held since 2001. He joined the Orchestra in 1997 as a member of the first violin section and made his solo debut with the Orchestra in 2011. He again appeared as a soloist with the orchestra in 2013. He has also been heard in solo appearances and chamber music concerts throughout North America and Europe. From 1992-96, Mr. Rose was the first violinist of the Everest Quartet, top prize winners at the 1995 Banff International String Quartet Competition. 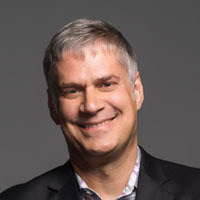 Stephen Rose is a faculty member at The Cleveland Institute of Music, where he maintains a studio and directs the orchestral violin repertoire classes. He also serves on the faculty of Kent/Blossom Music, National Orchestral Institute, and The New World Symphony. A participant at many summer music festivals, Mr. Rose regularly appears at the Seattle Chamber Music Festival, Mimir Chamber Music Festival, Colorado College Music Festival, Orcas Island Chamber Music Festival and Pacific Music Festival in Japan. In 1994 Stephen Rose received the Masters of Music degree and Performers’ Certificate from the Eastman School of Music, preceded by the Bachelor of Music degree in 1992 from the Cleveland Institute of Music. He was honored with the Alumni Achievement Award from CIM in 2005. Mr Taylor made his solo debut with the San Antonio Symphony at the age of fourteen as the winner of a concerto competition, and has since appeared as soloist with numerous orchestras, performing, among others, the works of Dvorak, Haydn, Elgar, Shostakovich, Lalo, Boccherini, Saint-Saens, and Brahms. Mr Taylor has taught and performed at music festivals around the world, including the Festival der Zukunft in Ernen, Switzerland, the Portland Chamber Music Festival, the Shanghai International Music Festival, the Aspen Music Festival, the Mimir Chamber Music Festival, the Mammoth Lakes Chamber Music Festival, Music Festival Santo Domingo, Michigan's Village Bach Festival, Music at Gretna in Pennsylvania, where he has made repeated appearances as a concerto soloist, and Arizona Musicfest, where he serves as principal cello. Mr Taylor is a member of the faculty of DePaul University’s School of Music and acts as Consulting Artistic Director of Rush Hour Concerts, an organization committed to free public access to high-quality music. A fan of many styles of music, Mr. Taylor had a seven-year association with the band Pink Martini. With this unique ensemble, he appeared on "Late Night with Conan O'Brien," "The Late Show with David Letterman," at the Hollywood Bowl with the Los Angeles Philharmonic, and in nightclubs and theaters across North America. He can be heard on Pink Martini's studio release, "Hey Eugene”. Mr Taylor holds a Bachelor of Music degree and a Performer's Certificate from the Eastman School of Music, where he won the school's concerto competition and performed as soloist with the Eastman Philharmonia. His Master of Music degree is from Indiana University. His primary teachers have been Janos Starker and Paul Katz. 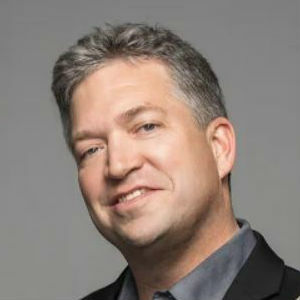 Violinist Curt Thompson serves as Associate Professor and Head of Strings at the University of Melbourne Conservatorium of Music. He is Founder and Executive Director of the Texas-based Mimir Chamber Music Festival, which presented its 21st season in Fort Worth earlier this year. Prior teaching appointments include the TCU School of Music and the Indiana University Jacobs School of Music. Thompson performs throughout the Americas, Europe, Asia, and Australia as concerto soloist, recitalist, concertmaster, and chamber musician in such prestigious venues as Carnegie’s Weill Recital Hall, Salle Gaveau (Paris), Teatro Naçional de Costa Rica (San José) and the Shanghai Concert Hall. Concerto appearances include the Qingdao Symphony (China), Medellín Philharmonic Orchestra (Colombia), the symphonies of Corpus Christi, San Angelo, Las Colinas, Irving, Arlington, Garland, and the Texas Chamber Orchestra. Mr. Thompson has been a featured artist in the Copland/Shostakovich Festival (Rio de Janeiro), the Festival de Primavera (Oaxaca, Mexico), the Seventh Centennial Festival of Villarobledo (Spain), and Inter-Harmony International Music Festival (Hinterzarten, Germany). As Concertmaster, Curt has appeared with the Melbourne Symphony Orchestra, Fort Worth Symphony Orchestra and the Spoleto Festival Orchestra (Italy). Master class appearances include the Royal Academy of Music (London), The Juilliard School, Beijing Central Conservatory, El Escorial Conservatory (Spain), Australian National Academy of Music and the Bulgarian State Academy of Music. He has served as juror at the National Concerto Competition of New Zealand, the Pancho Vladigerov International Violin Competition (Bulgaria) and the Dorcas McClean competition (Australia). Curt holds Bachelor and Master of Music degrees and the prestigious Performer’s Certificate from Indiana University, and the Doctor of Musical Arts degree from Rice University. His principal teachers included Nelli Shkolnikova and Sergiu Luca.